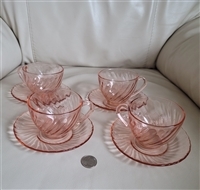 Arcoroc pink glass tea cups and saucers, France. 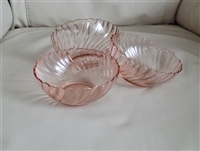 Arcoroc swirl design pink glass bowls, France. Vintage ARCOROC France clear glass dish with pressed glass Cow lid.